Southern California, home to half of the state's population, depends on the State Water Project, the Colorado River Aqueduct and the Los Angeles Aqueduct supply for about half of its supply. California's vast agricultural industry is also dependent on water projects, both large and small. The Los Angeles Aqueduct carries water from the Eastern Sierra Nevada to Los Angeles. The construction of the aqueduct marked the first major water delivery project in California. The city purchased 300,000 acres (1,200 km2) of land in the Owens Valley in order to gain access to water rights. The City of Beverly Hills uses chloramines to disinfect your water. 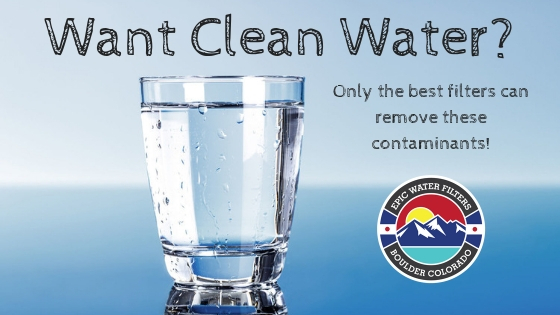 The City is required to disinfect your water to prevent waterborne pathogens. Your drinking water also contains small amounts of fluoride ions. This additive can help prevent tooth decay (Yikes). The fluoride concentration in your water ranges from 0.6 to 1.2 mg/L. Your water's average hardness is approximately 290 mg/L or 17 grains/gallon. Drought conditions and water allocation issues have affected the water hardness in your potable water. 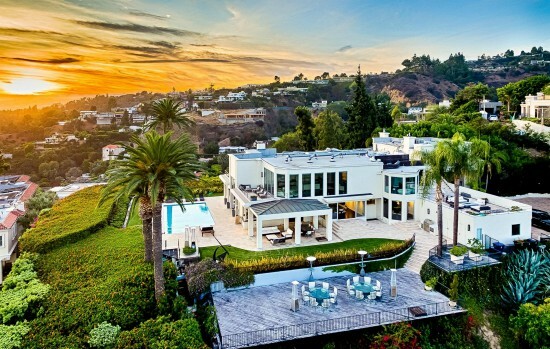 Is Beverly Hills' tap water safe to drink? Bromate is a carcinogenic disinfection byproduct formed when source waters containing bromide are treated with ozonation or sodium hypochlorite. Studies of laboratory animals show that bromate damages DNA and causes cancer in multiple organs. Click here to read more about disinfection byproducts. This utility detected Uranium. Radiological contaminants leach into water from certain minerals and from mining. Drinking water contamination with radioactive substances increases the risk of cancer and may harm fetal development. Fluoride occurs naturally in surface and groundwater and is also added to drinking water by many water systems. The fluoride that is added to water is not the naturally occurring kind, the main chemicals used to fluoridate drinking water are known as “silicofluorides” (i.e., hydrofluorosilicic acid and sodium fluorosilicate). Silicofluorides are not pharmaceutical-grade fluoride products; they are unprocessed industrial by-products of the phosphate fertilizer industry (Gross!). Since these silicofluorides undergo no purification procedures, they can contain elevated levels of arsenic — moreso than any other water treatment chemical. In addition, recent research suggests that the addition of silicofluorides to water is a risk factor for elevated lead exposure, particularly among residents who live in homes with old pipes. Cancer: The health guideline of 0.004 ppb for arsenic was defined by the California Office of Environmental Health Hazard Assessment as a public health goal, the level of a drinking water contaminant that does not pose a significant health risk. This health guideline protects against cancer. Cancer: The health guideline of 0.1 ppb for bromate was defined by the California Office of Environmental Health Hazard Assessment as a public health goal, the level of a drinking water contaminant that does not pose a significant health risk. This health guideline protects against cancer. Change in blood chemistry: The health guideline of 50 ppb for chlorite was defined by the California Office of Environmental Health Hazard Assessment as a public health goal, the level of a drinking water contaminant that does not pose a significant health risk. This health guideline protects against change in blood chemistry. Cancer: The health guideline of 0.02 ppb for chromium (hexavalent) was defined by the California Office of Environmental Health Hazard Assessment as a public health goal, the level of a drinking water contaminant that does not pose a significant health risk. This health guideline protects against cancer. Cancer: Radiological contaminants leach into water from certain minerals and from mining. Drinking water contamination with radioactive substances increases the risk of cancer and may harm fetal development. Cancer: The health guideline of 0.8 ppb for trihalomethanes was defined by the California Office of Environmental Health Hazard Assessment as a draft public health goal, the level of drinking water contaminant that does not pose a significant health risk. This health guideline protects against cancer. Which is better? Solid Carbon Block Filters or Granular Activated Carbon Filters?